TO FIND THE PERFECT RED? Red Lipstick is the first app to let you to use your iPhone or iPad to take a selfie and try 21 different shades of red lipstick on. You can even share your lipstick selfies on your favourite social media pages and let your friends to tell you what they think of you in different shades of red. What if you aren’t quite sure what particular shades of suit? Just tap the ‘What’s my shade’ button, answer three questions and the app will tell you the perfect reds for your skin tone, skin color and hair colour. Then you can see how each of them look, simply by clicking ‘Try it on’ and taking another selfie with the app. 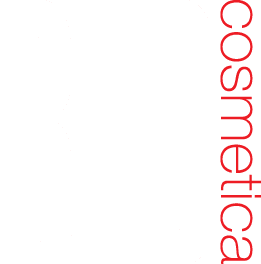 Once you’ve seen how amazing you look in different shades of red, you can even buy and have them delivered to your door, because all the shades you’ll see are courtesy of the largest range of sumptuous, long-lasting red lipsticks on the planet … RED Cosmetica. And so your lipstick looks perfect 24/7 the app even has a mirror. Just tap the ‘Makeup mirror’ button and there you are! There’s even a zoom and exposure slider to ensure absolute makeup and lipstick perfection. You can download the Red Lipstick app free from the iTunes App Store here.